If you are reading this blog you may not know my primary photography jones is editorial fashion & portrait photography. My fashion & portrait work is digital, with a sprinkling of instant photography for giggles. Shameless plug alert - check me out at my portfolio site & blog. However, if you are on this blog you also know I'm into film & street photography. Most of my personal and "walk-around" photography is street photography. I've met interesting & creative people through street photography. I follow a number of street photographers and regularly read about the genre. That's how I discovered Valerie Jardin. I first heard her through "This Week In Photo" (TWiP), a weekly podcast about all things photography hosted by Fredrick Van Johnson. One of the podcasts I listen to regularly is TWiP. Valerie is a regular co-host. I started to follow her through social media, and although she's a digital girl, her street work is uber. I joined a workshop she hosted in Minneapolis and was hooked. She has skills. I was on her June workshop in Paris where she told us about her upcoming street photography podcasts named appropriately "Street Focus" on the TWiP network. She had her first listener, this guy. She's up to podcast #7. 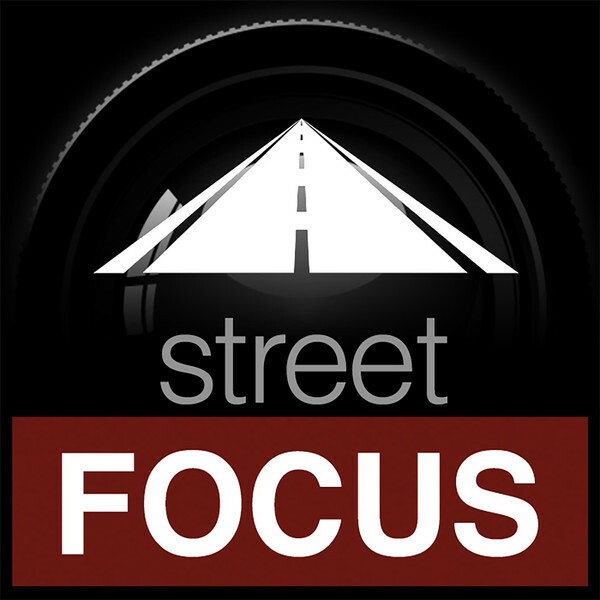 I wouldn't normally talk about Street Focus on this blog because it's mainly digital, but oh, hold on! This week on episode # 7 she interviewed London based street photographer Walter Rothwell. And you know what? Yep, Walter shoots exclusively FILM. Not only film, but he shoots mainly in panorama mode with a Hasselblad X-Pan. I've been lusting for one of those beauties for some time, but they are pricey. But wait Steve, in street photography, aren't you supposed to get close and shoot 35mm format? Yes & No, you can do whatever you want. Although the trend is to "get close", street photography lends itself to panorama. Especially in big cities with lots going on like NYC, LA, Hong Kong or Paris. Check out this YouTube video from DigitalRevTV that talks about the X-Pan. I used to live in Hong Kong and from experience it was panorama heaven. Anyway, Valerie interviews Walter Rothwell on episode # 7, and it's really intriguing. A good back & forth on his style, his background, his techniques & how he works. I immediately checked out his work, and really enjoy it. I like his purity of B&W and the very contrasty nature of his street work. Some of his images brought a smile to my face. Lots of action in those panoramas. Very different than a close up street portrait or close urban scene with a single point of focus. I also feel three of Walter's comments were spot on. First, "slow down". You don't need to take 500 photos during a street shoot (like I might do in a model shoot) Walk slower, blend in, and selectively shoot. This is particularly appropriate in film. I find myself doing this as well. Also, when you are moving slower you blend in better. The second comment is to re-visit your old images. You will likely find gold nugget images you originally passed by. So true and I find I do this all the time. Finally, carry your camera all the time. You may not always take a photo, but at least you are prepared and your eyes are scanning for a potential photo. I do this all the time. I ALWAYS have a camera on me, even if it's just my iPhone. So, all you film street photographers, do yourself a favor - check out Walter. Also, while you are at it check out Valerie & her podcast on TWiP. Now all I have to do is get over to London and convince Walter to spend a day with me walking through London's streets. Maybe he'll let me put a roll through is X-Pan. Come on, a boy can dream.